Panasonic on Tuesday launched its Eluga Ray 500 and Eluga Ray 700 smartphones in India. The devices will be made available for purchase exclusively through Flipkart, priced at Rs. 8,999 and Rs. 9,999 respectively, as part of the Big Billion Days sale starting on September 20. We got our hands on both models Panasonic’s launch event, and here are our first impressions. Starting with the highlight features, the first thing you will notice about the Eluga Ray 500 is that it has dual rear cameras, one with a 13-megapixel sensor and the other with an 8-megapixel sensor, plus a dual-LED flash. This phone also has a 5-megapixel front-facing camera. On the other hand, the higher priced Eluga Ray 700 has only a single 13-megapixel rear camera but it also has a 13-megapixel selfie camera and a larger 5000mAh battery compared with the 4000mAh one in the Eluga Ray 500. 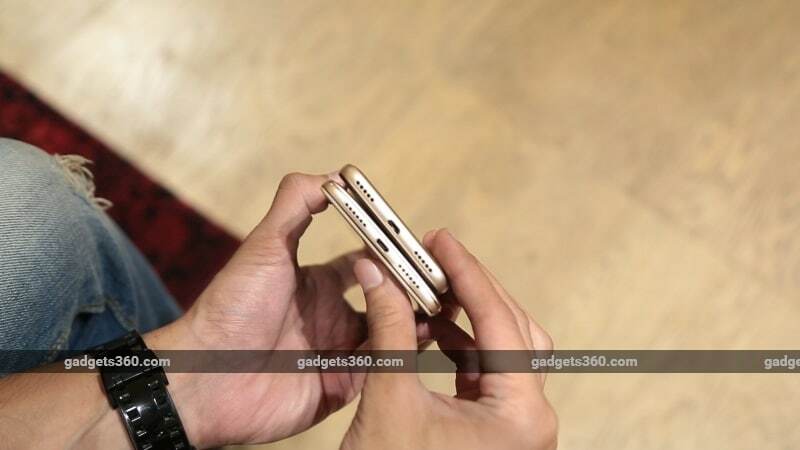 In our time with both phones, we found the cameras of the Eluga Ray 500 quite impressive. Thanks to the wide-angle lens, users can frame shots without having to stand too far back. The Eluga Ray 700’s camera seemed just about average. Since we only had a limited amount of time with the smartphones, and that too only indoors, we will reserve our opinion till we can confuct our full reviews of both devices. Despite their relatively large batteries, the Eluga Ray 500 and Eluga Ray 700 don’t feel too bulky and are easy to hold even with one hand. Both models feel sturdy and seem to have good build quality. The Eluga Ray 500 sports a 5-inch HD (720×1280 pixels) IPS display while the Eluga Ray 700 has a larger 5.5-inch HD (1080×1920 pixels) IPS display. We found that both phones could get quite bright, and we hope that these screens will hold up as well outdoors as indoors. Due to the increase in resolution along with screen size, we didn’t find the larger Eluga Ray 700 screen to be any less sharp than the one on the Eluga Ray 500. Coming to the performance, the Panasonic Eluga Ray 500 is powered by a 1.25GHz quad-core MediaTek MTK6737 SoC, while the Eluga Ray 700 packs a more powerful octa-core MediaTek MTK6753 SoC clocked at 1.3GHz. Both phones have 3GB of RAM despite their low prices, and both have 32GB of built-in storage, which is expandable using a microSD card (up to 128GB). Both phones also run Android 7.0 Nougat and support Panasonic’s own Arbo Digital assistant, but as it requires some time to learn user behaviour, we couldn’t get an idea of its performance. We didn’t face any issues with performance when flipping through the Android UI and trying out the pre-loaded applications. The Panasonic Eluga Ray 500 does have competition from other smartphones with dual cameras in the budget category, such as the Micromax Evok Dual Note and the Coolpad Cool 1 Dual. It also faces the competition from other handsets like Xiaomi Redmi 4 and Yu Yureka Black. On the other hand, the Eluga Ray 700 will be competing with the Moto E4 Plus and Xiaomi Redmi Note 4. Stay tuned to Gadgets 360 for a detailed analysis of the performance of both phones.